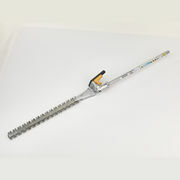 Honda also has a long shaft hedge trimmer available for your VersaTool if thats what you desire designed for trimming foliage and tall hedges. 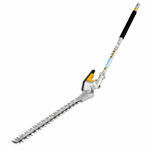 The 550mm double sided blade will ensure you get the best cut so your hedges as if offers eleven different positions across 180 degrees. 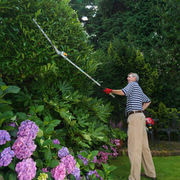 Meaning your hedge will be the highlight of the neighbourhood. Offering a 4 year domestic warranty and 12 month commercial warranty.